AnApp Blockchain Technologies Limited (“AnApp”), the IoT (Internet of Things) blockchain developer behind IOTW (a new cryptocurrency for IoT applications), announces that AnApp has been selected by 500 Startups (https://500.co) to participate in the 24th Batch Accelerator Program (Batch 24). 500 Startups is a venture capital firm and seed accelerator in Silicon Valley. Founded in 2010, 500 Startups manages over $400 million in committed capital and has invested in over 2,000 companies across more than 60 countries, including Grab, Udemy, Carousell, Twilio (NYSE: TWLO), SendGrid (NASDAQ: SEND), Credit Karma, etc. Being a member of the 500 family, IOTW has been participating in this 4-month seed program in San Francisco since October. 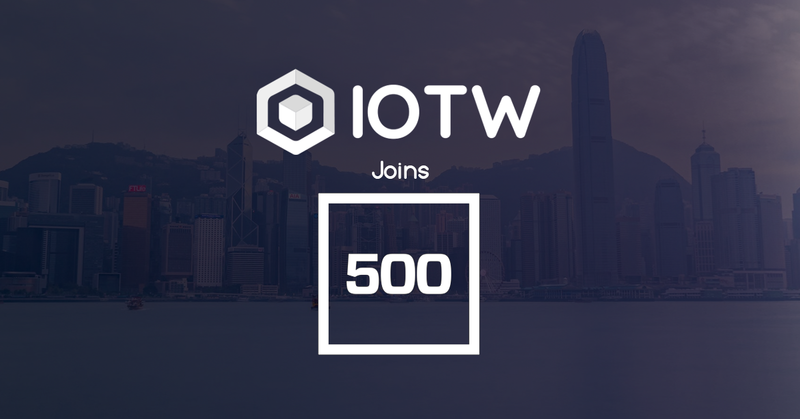 There will be a plenty of workshops and talks, and IOTW gains extensive professional mentorship, office space and great opportunities to connect with investors and partners. On February 28th, 2019, 500 Startups will host a Demo Day and all new members of Batch 24 will have a chance to show the world features of their products and services. AnApp (website: iotw.io) is developing the IOTW cryptocurrency and blockchain software which can run on different IoT devices. The micro-mining software can be embedded into different IoT chipsets and also downloaded into existing IoT devices through a firmware update.